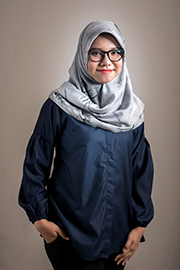 Rahmi holds a bachelor’s degree in economics from Universitas Padjadjaran. Rahmi is a junior quantitative researcher for the RISE Programme in Indonesia. She is currently working on the impact of education policies in specified districts and will work closely with local governments to design, evaluate, and adapt their education policies to more effectively improve the quality of education. Prior to joining SMERU, Rahmi was an evaluation staff of the Directorate for Monitoring, Evaluating, and Controlling of Regional Development at Ministry of National Development Planning/National Development Planning Agency. She also completed her internship at CSIS Indonesia and worked as a teaching assistant at the Faculty of Economics and Business, Universitas Padjadjaran.